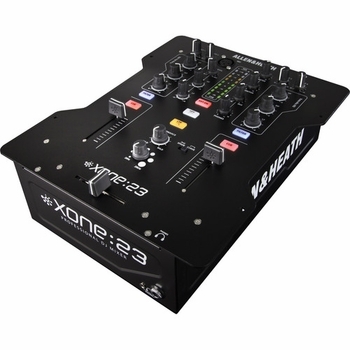 Allen & Heath XONE:23 - 2+2 Channel DJ Mixer DJParts - All Variety of Parts that DJ Needs. Designed for professional and home DJ applications such as at a party or in the club. The mixer features an enhanced version of Allen and Heath's Xone voltage controlled filter system with resonance control, a 3-band total kill EQ per side, VCA faders, illuminated switches, styling from the flagship DB4 DJ mixer, and a user upgradeable crossfader with curve selector.